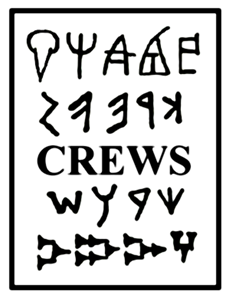 The CREWS project is fortunate in being able to offer short Visiting Fellowships to scholars based elsewhere working on topics related to the CREWS research remit. This gives them the opportunity to spend time in Cambridge with the CREWS team, with access to the library and resources of the Faculty of Classics to help them complete a significant piece of research on writing systems. We are grateful to our funders, the European Research Council, and our host department, the Faculty of Classics, for making the scheme possible. The aim of the scheme is to foster international collaboration and exchange of knowledge between scholars working on ancient writing systems across the world. We hope that spending time with the CREWS team offers a helpful environment in which visiting scholars can discuss and develop their ideas and research, with the benefit of access to University of Cambridge resources. At the same time, their research and its published outputs, alongside their input in discussions and activities during their stay, broadens the scope of the project and significantly enhances the CREWS research remit. The second round of the funded Visiting Fellowship Scheme is now open (deadline 15th April 2019). Please follow the link below for further information. Scholars who have or are able to apply for an external source of funding are also welcome to apply for the Visiting Fellowship Scheme (no fixed deadline). Please follow the link below to find out how to apply. Dr Willemijn Waal giving a seminar on Hieroglyphic Luwian at the Faculty of Classics Indo-European seminar during her period as a CREWS Visiting Fellow in January 2019.